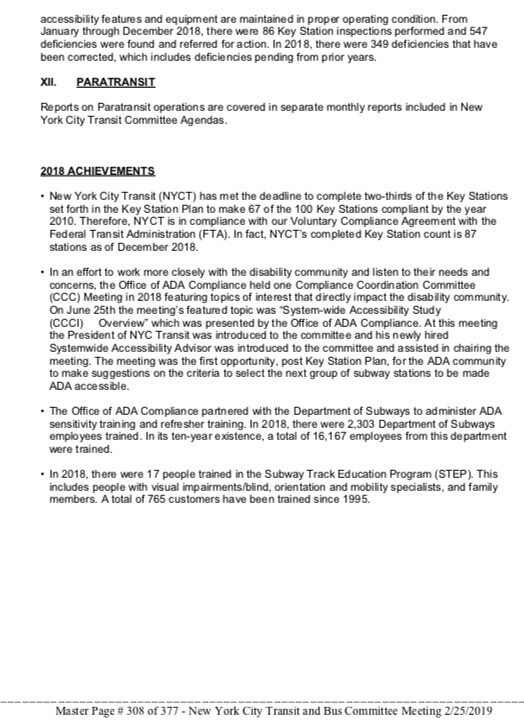 I feel like that, with plans to increase the number of accessible subway stations, it would be useful to have a thread for it. 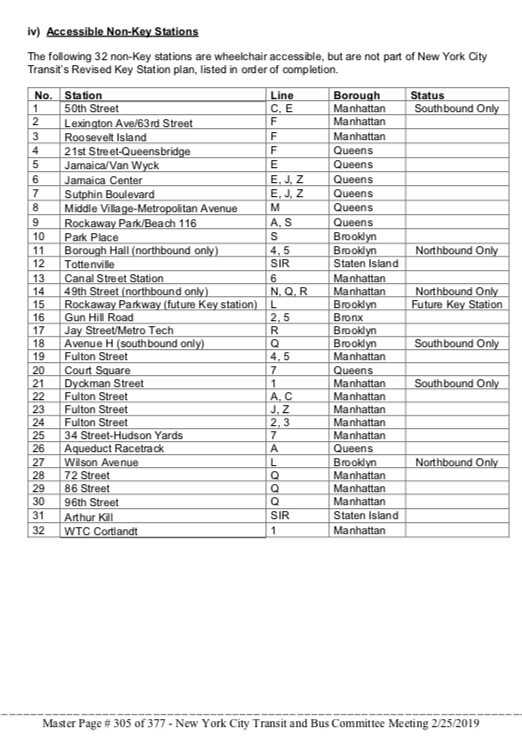 I'll reformat the original post later to put the listed stations in some sort of order. I especially like this one, not only for its intrinsic need, but also because the existing two stairways are insufficient as it is. 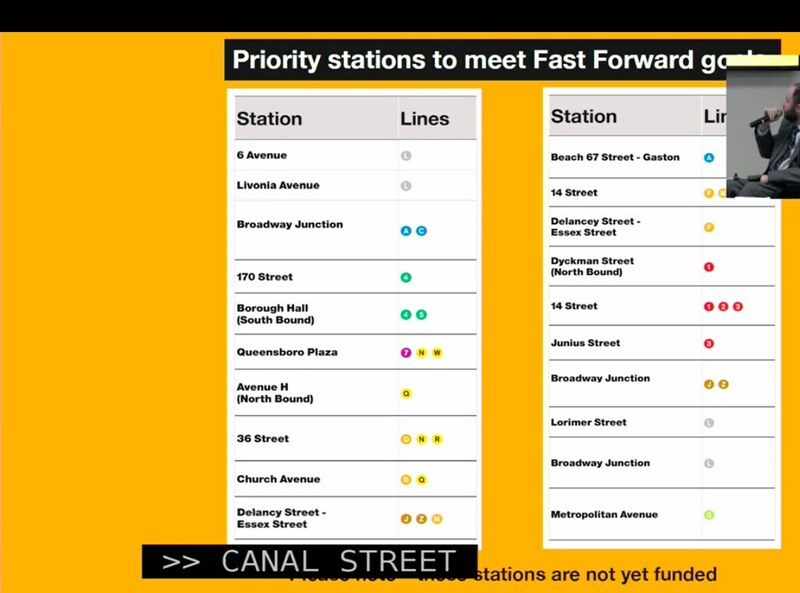 Here is the modified version of my Vignelli-inspired map illustrating the accessible stations and those that are in the planning or construction phases as of the latest update to the Capital Dashboard. Click on the image for a full resolution PDF. 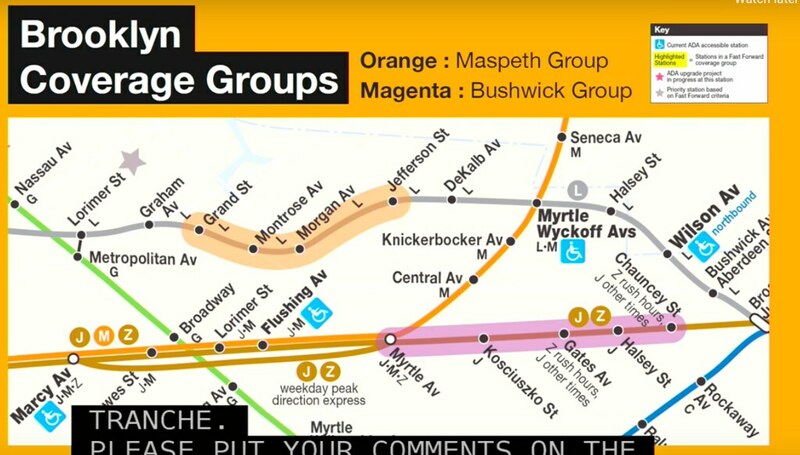 As you can see, even with the new additions, we still have a lot of work to do to make the subway more accessible, especially on the Crosstown and Jamaica lines. You left out East Broadway, 77th, Union, Vernon-Jackson, East Broadway. 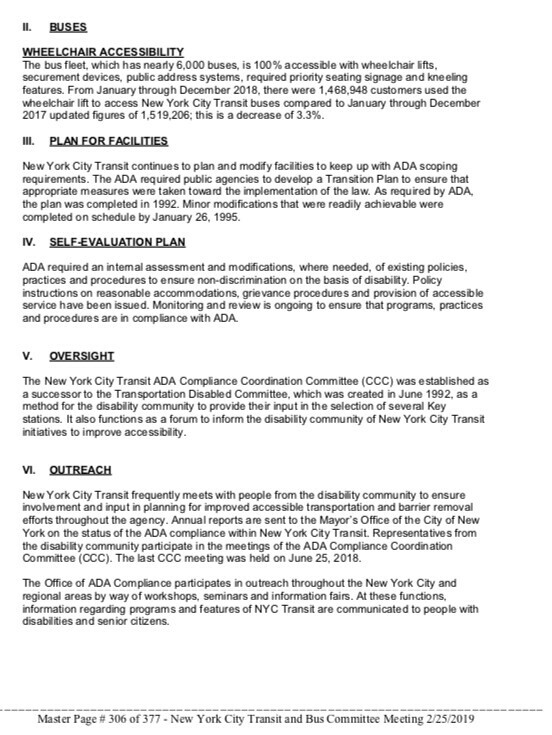 Also, GCT on the Shuttle is technically ADA-accessible, but is not listed because the only other stop on the route, Times Square, isn't. You should somehow list this. 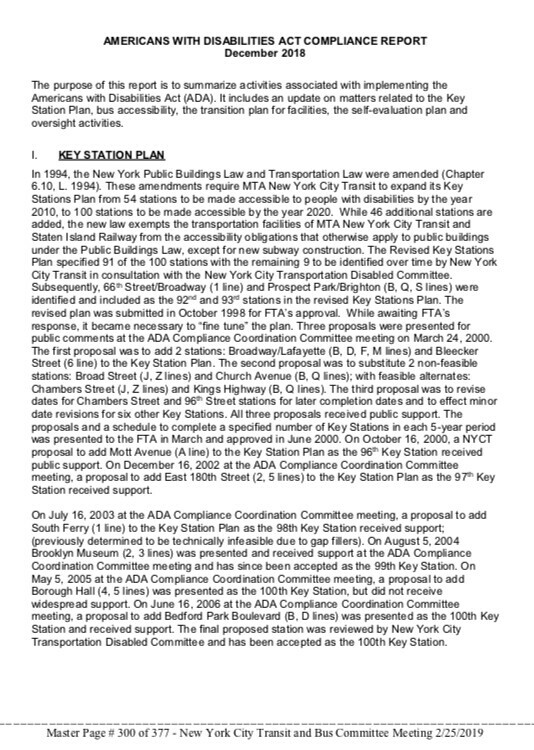 In the service guide, you list the Rockaway Pk as non-accessible. You should mention that it can be accessed by a platform transfer at Broad Channel. 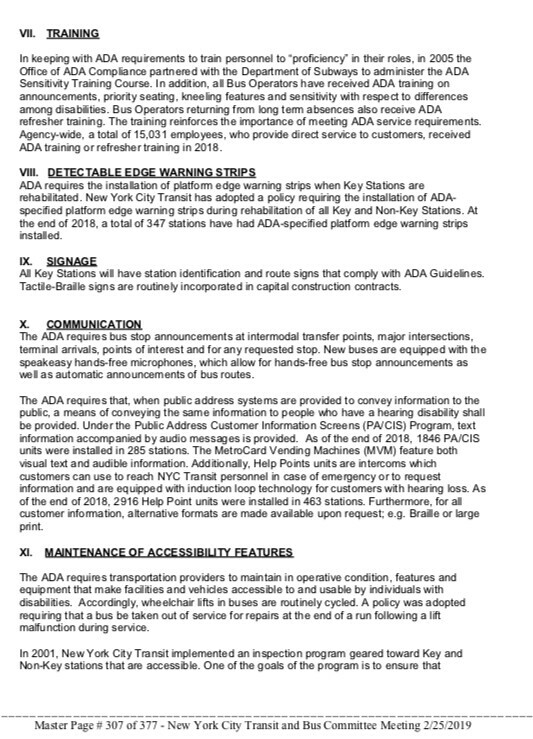 You should mention the green dots in the Key and that all buses are accessible. 28th Street is accessible downtown. V is capitalized in Park Place Franklin AV. There is a plan to make Grove St. accessible. I thought Junius/Livonia transfer was fully funded. Is ADA not a part of that? The funding was removed in April with the exception of that for design work. Gun Hill Rd 5 will partially close temporarily soon. I forgot. @Lance Harrison is accessible as well. Saw a bunch of MTA people having a look when I took the first pic so it must be some sort of test. Initially, this pilot was to be done at Church Avenue on the . 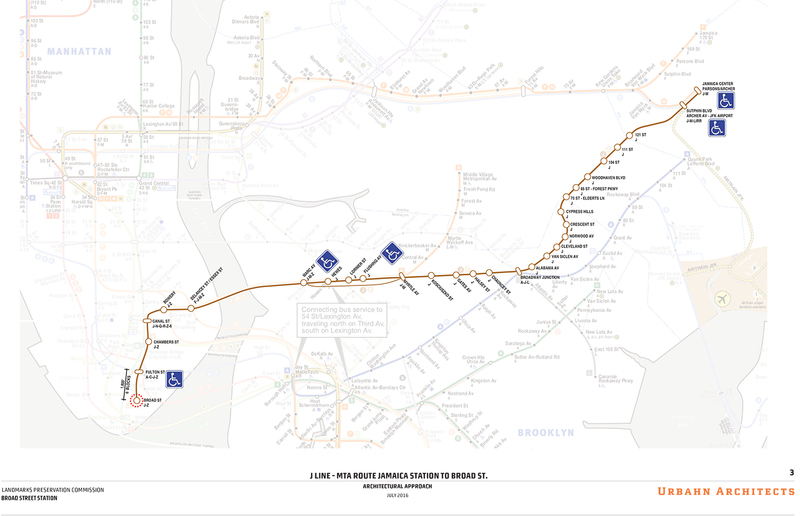 The map is updated for the planned accessibility for East Broadway and 77 Street, along with the current accessibility at 28 Street, Grove St and Harrison. 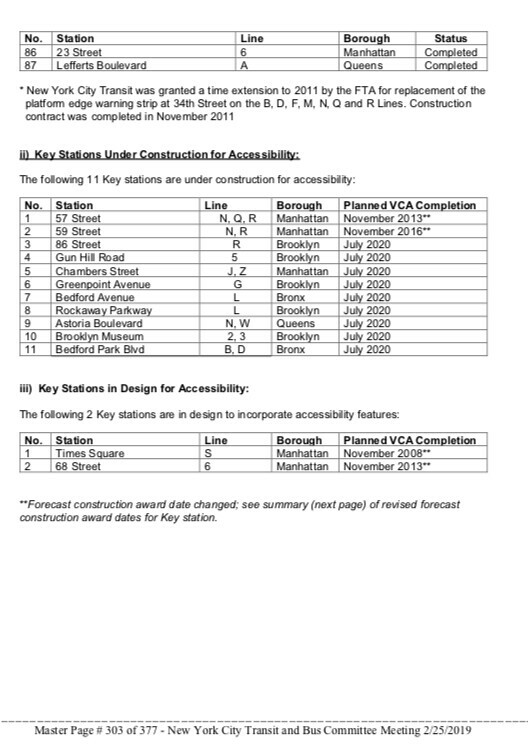 I did not include Union Av or Vernon Blvd as there is no information readily available pertaining to planned accessibility at these stations aside from a note on the Wikipedia pages. 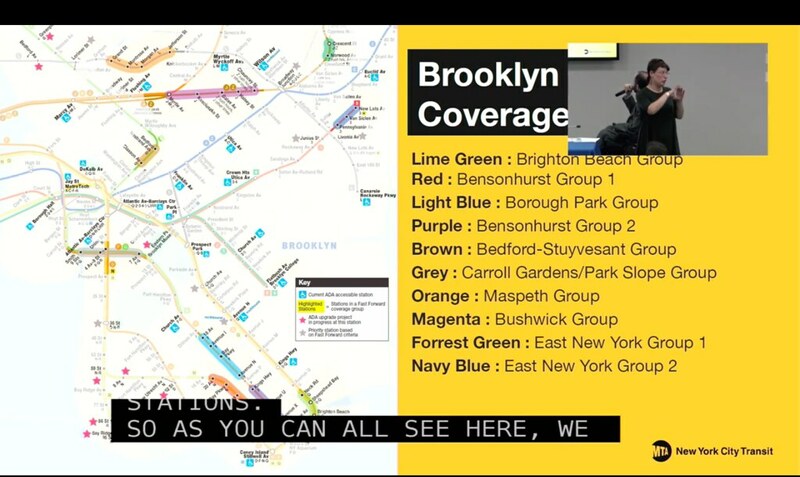 In regards to both Times Square and Broad Channel, in my opinion, they don't count as a disabled rider cannot actually enter or exit the station from these platforms, hence the routes being labeled as inaccessible. Broad Channel's platforms are large and flat enough that riders can change between the shuttle and the there, but they are out of luck if they are trying to get off at Broad Channel or any of the shuttle's intermediate stations. 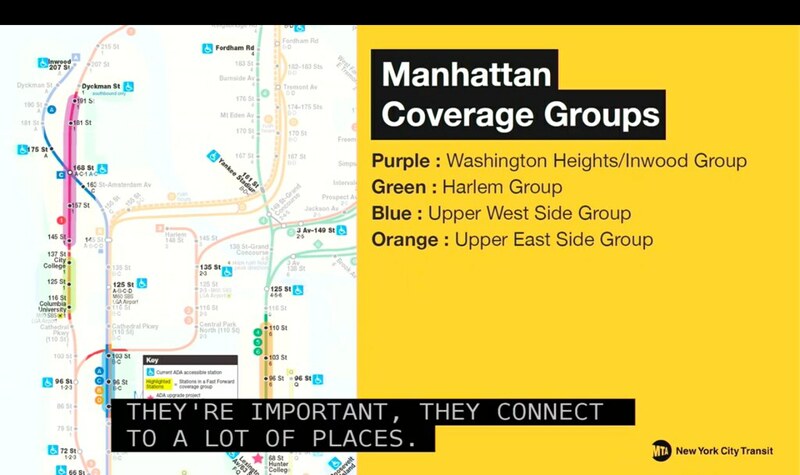 Times Square is a similar case as while the Grand Central platform is fully accessible, riders cannot go anywhere on the shuttle since Times Square's platforms are completely inaccessible and that's the only other station on the line. 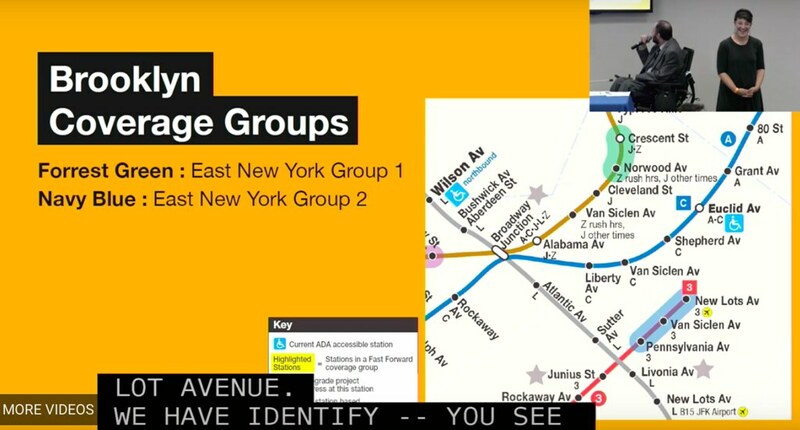 It's the same reason why I have the as completely inaccessible despite the full accessibility at Church Av and the cross-platform partial accessibility at Bergen St through Smith-9 Sts. 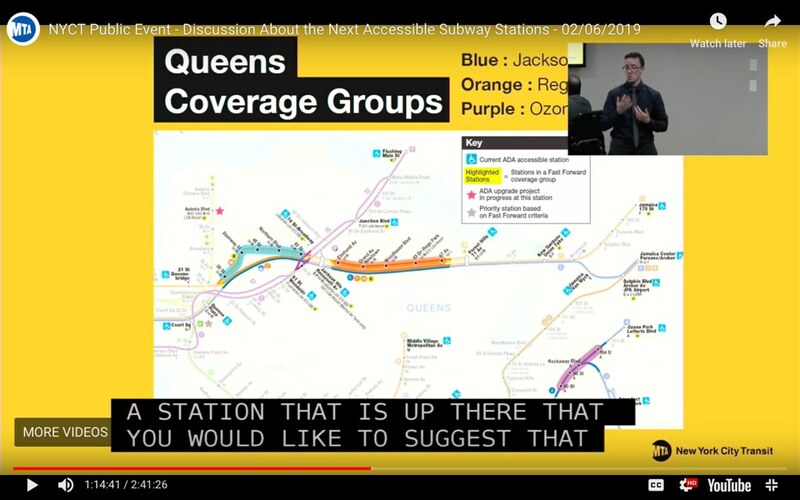 For GCT, I am talking about future accessibility because Times Square will be accessible. 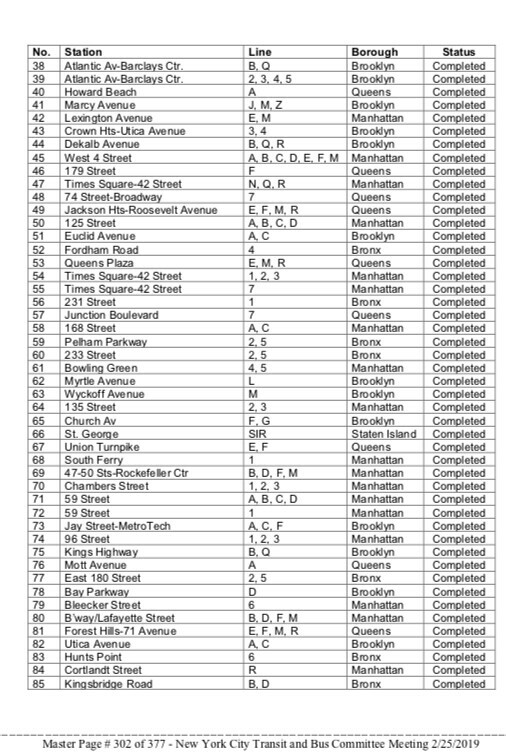 @LanceYou forgot to include Broad Street and 86th street uptown. 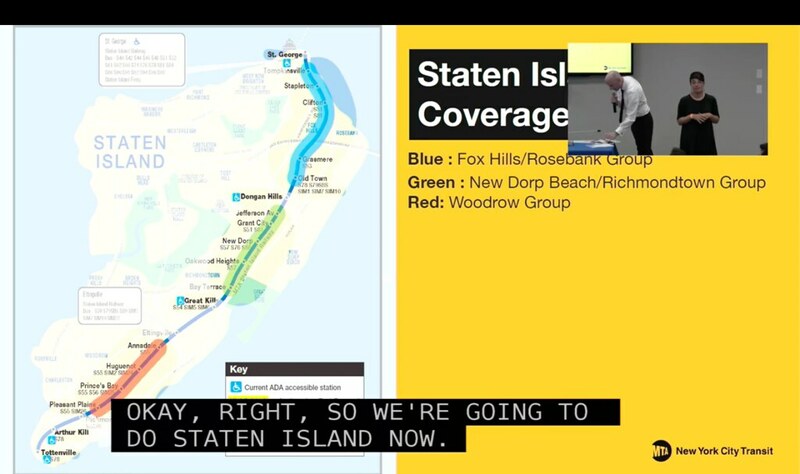 You should change Long Island Railroad to Long Island Rail Road. 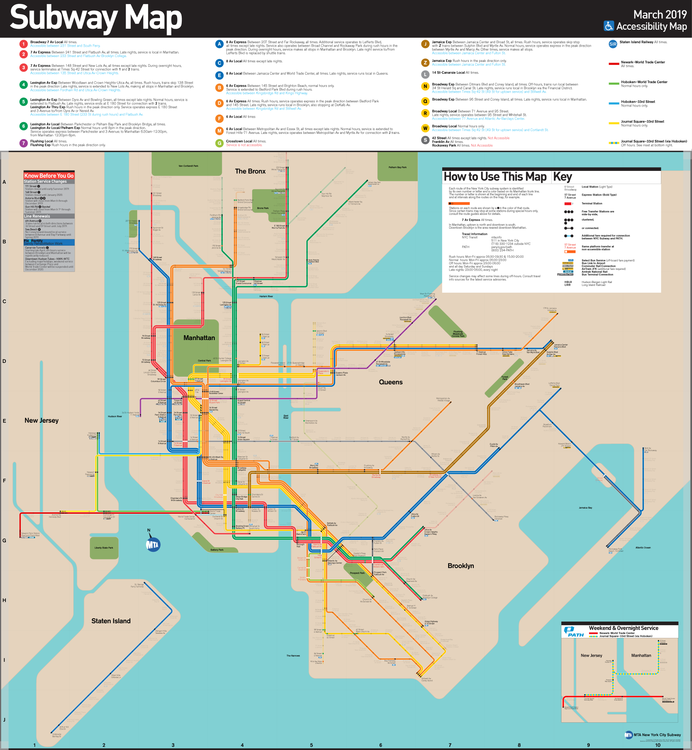 I know this is slightly off topic, but I wanted to point out that on the link you shared there's a map of the line and it's one of the maps from after Hurricane Sandy. 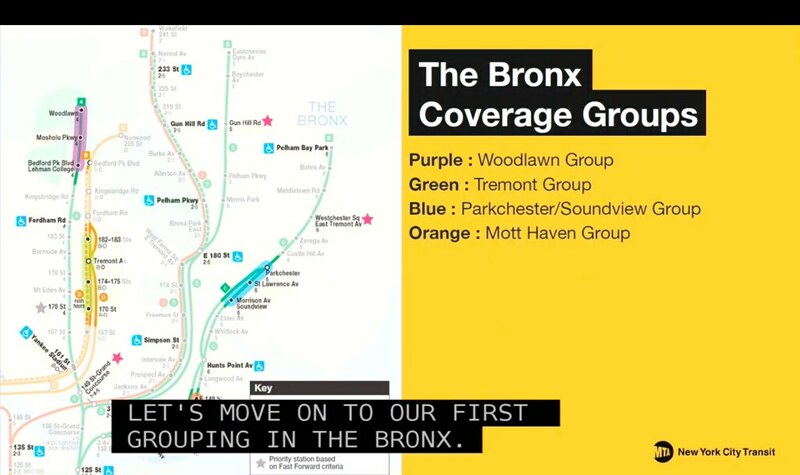 They also show the to Jamaica Center and no one thought for a second to say, "Wait a minute... doesn't the MTA run trains downtown?" 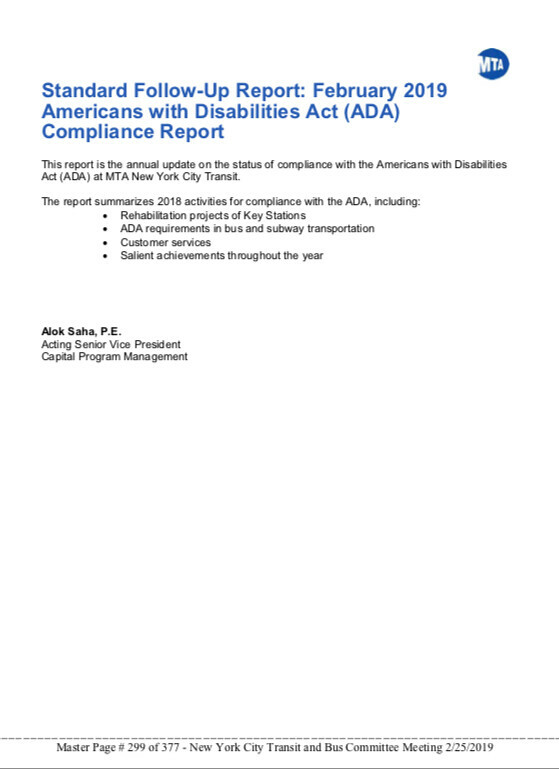 That’s a huge gap when we’re talking about lack of ADA Stations on the ! 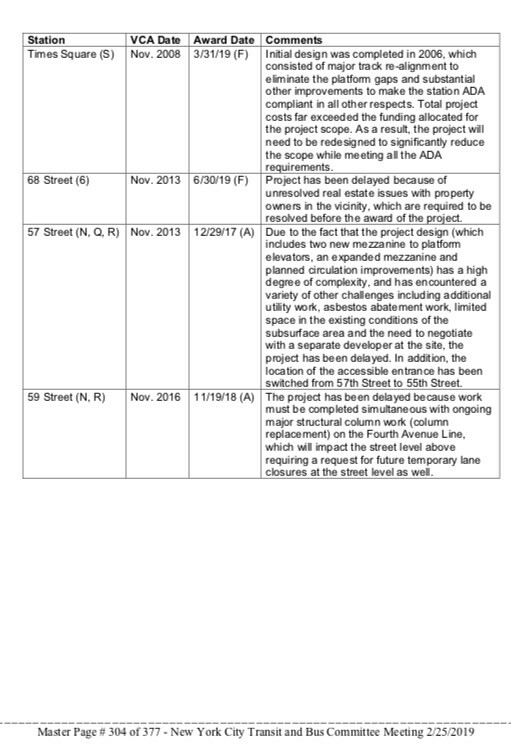 i know that Woodhaven Boulevard and Crescent Street are planned for ADA. And people kept mentioning Broadway Junction at the Event. Norwood Avenue was also mentioned. If I’m not mistaken, Myrtle Avenue, Gates Avenue (I believe), Broad Street, Chambers Street and I think Alabama Avenue Are planned too. I'm very interested to see how they would handle Crescent. Theres not much room there. Theres an abandoned apartment building near the station (next to the corner of Euclid Avenue and Fulton Street on Street level). If some how managed to own that building, then maybe they could build a new ADA entrance using that. That’d be a logical solution in my opinion. 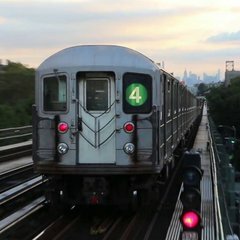 I can totally see the MTA going the option of punching holes in the 3-track structures on the and to make an elevator shaft. By any chance, do you have the rest of this document that it's from? 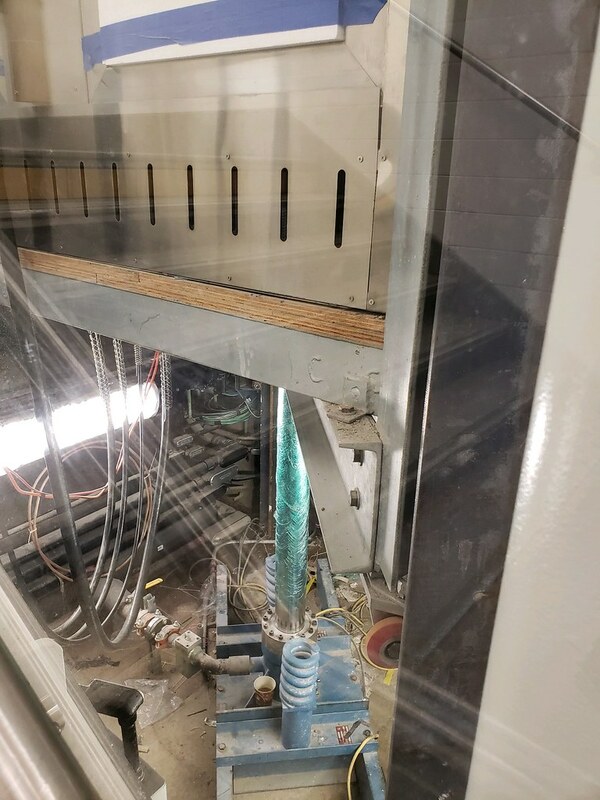 My mom just sent me a photo on her way home from work – we've seen the shaft for a while, but 86th on the 4/5/6 is getting an elevator! I only saw a shaft from street level, on the northbound side, as they're building a new building on the northeast corner, so it may be northbound only (and not sure if it'll serve both the local and express platforms, or just the local one). Still, it's something!